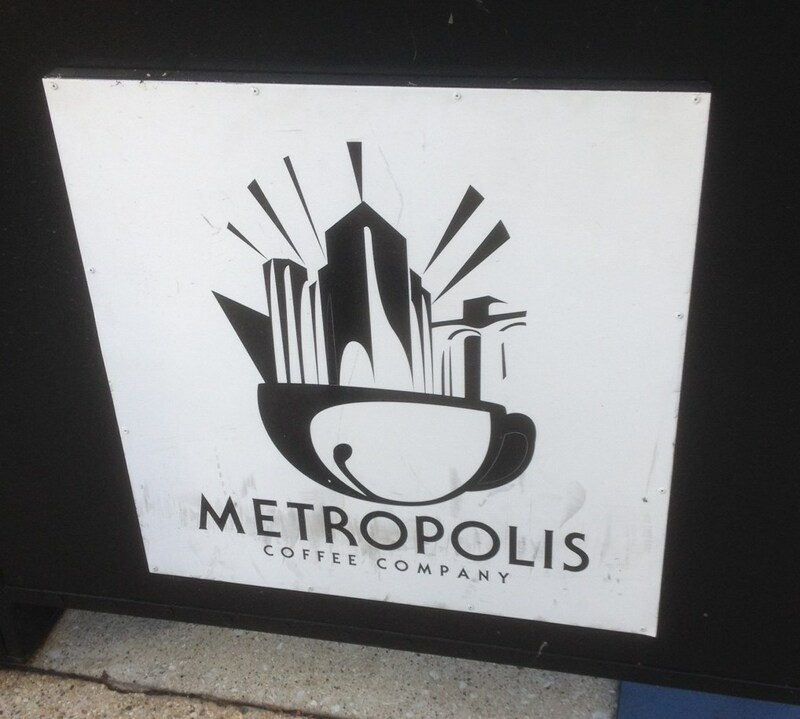 The Metropolis Coffee Company café is located up in Edgewater close to the red line at the Granville Stop. I had two good reasons to visit them, firstly I had won some gift cards at the recent Chicago Blogger’s Meet-up at the Chopping Block, and secondly I had somehow failed to have alighted before at the Granville stop on a successful food hunting expedition. I suppose I should have said that I had come in search of a cup of coffee, but to be honest my coffee consumption only really extends to a milky latté, I am more of a tea man (well I am English!). To balance it all out those I brought a coffee loving companion with me to check it all out on the coffee front. 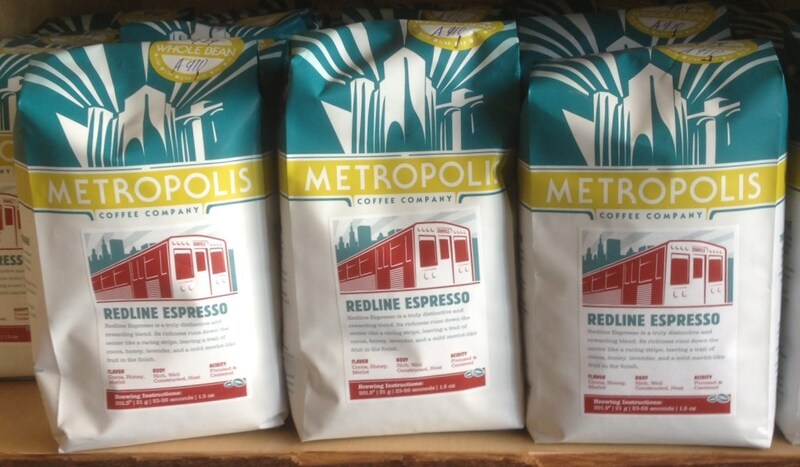 There was plenty of Coffee for sale, and I was almost drawn to buy a bag of the Redline Expresso purely due to the name and the picture of the El Train on the package. 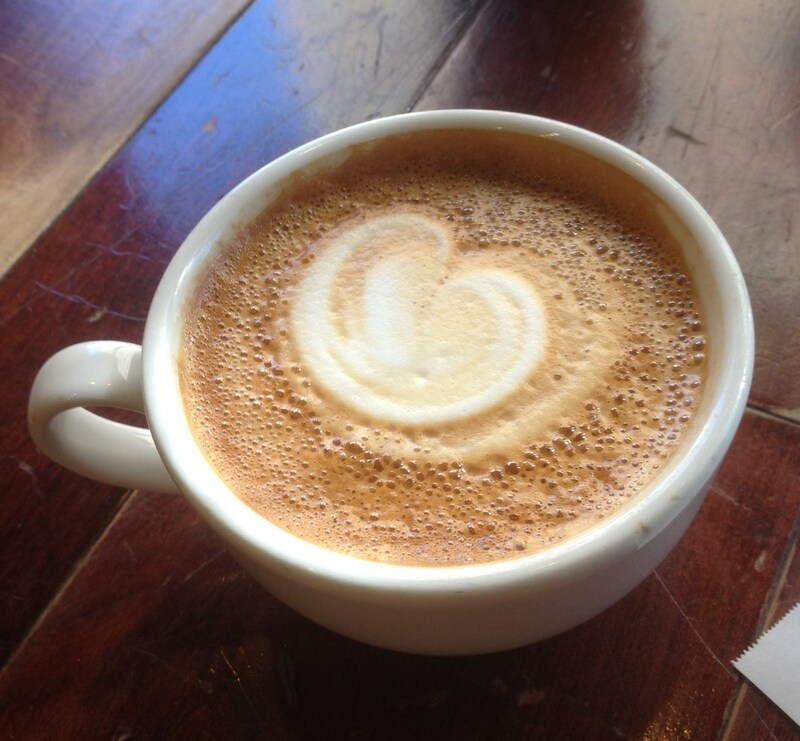 As I said I am not a coffee expert or even a coffee amateur, but that does sound kind of good doesn’t it? Despite my leanings towards a cup of tea, I did feel that it would be rather inconsiderate if I didn’t partake of some of their coffee so I ordered myself a Latte. It had a pretty good taste, and even to my uneducated coffee palate I could surmise that it was made with some pretty decent coffee. If I am totally honest it was a bit strong for me, and I did sneak off part way through to add some more milk, sorry Metropolis guys, “It’s me! not you”. My companion enjoyed her coffee though and headed off to buy some to take home. 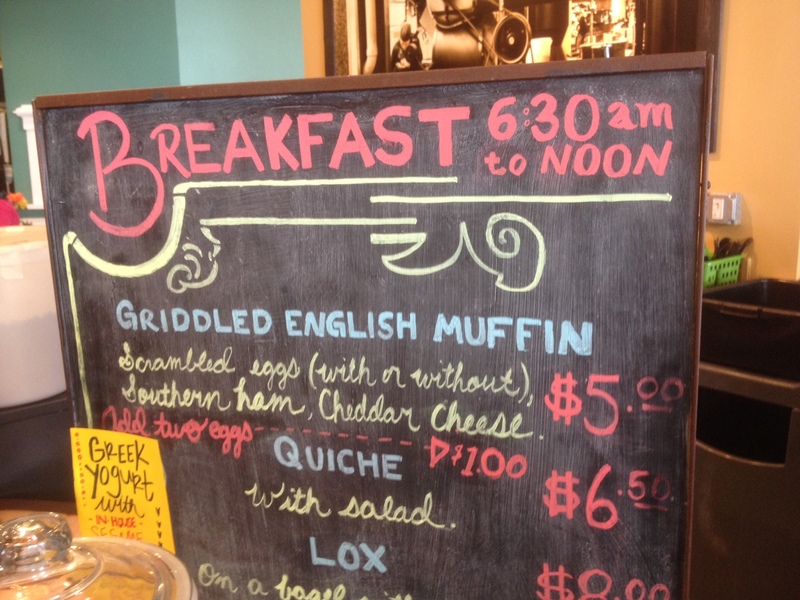 I was very happy when we walked in to see that they had a few hot items on the menu and we had arrived early enough in the day to be able to select something off the Breakfast Chalkboard. This was a win win situation, new place to write about and breakfast as well, bonus. 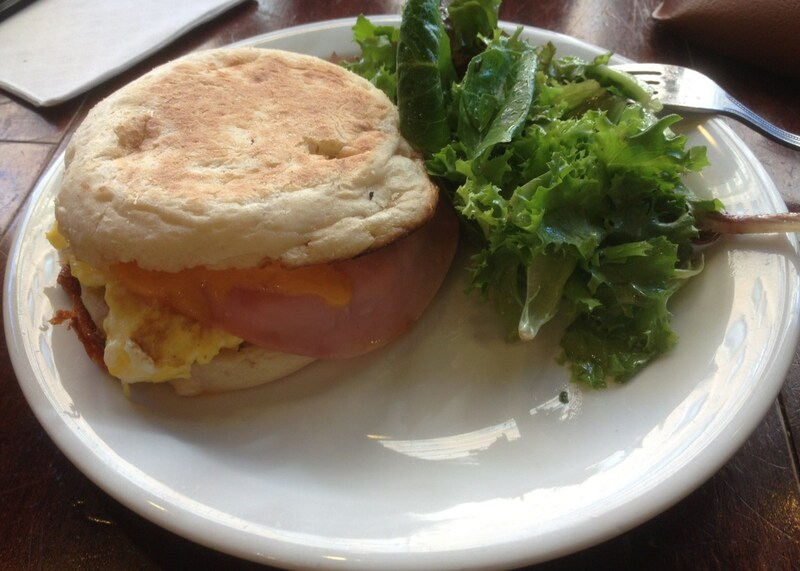 I chose to have a griddled English muffin filled with scrambled eggs, southern ham, and cheddar cheese. It might sound quite simple but it was just what the doctor ordered for a late morning snack. For some reason it came with a green salad, and since it was just past 11am I considered that it was on the verge of brunchtime, so I did eat that as well. 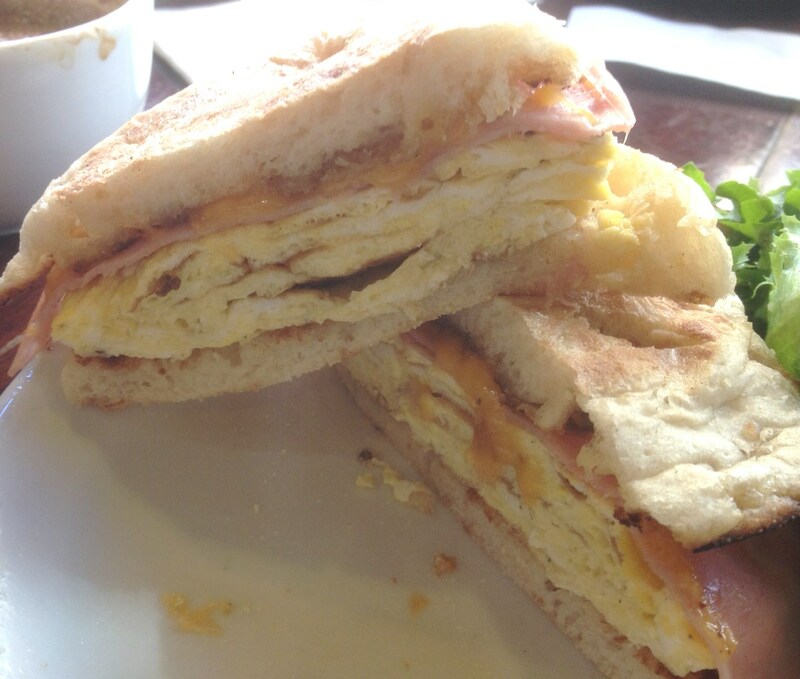 I didn’t think that it was bad value for $5, and for me a lot better than the sad breakfast sandwiches and muffins sold in many of the nations chain coffee houses. 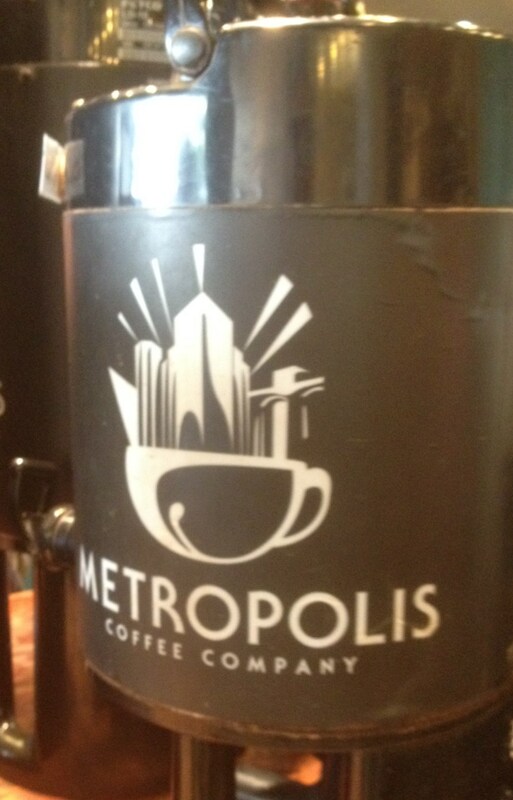 The Metropolis Coffee Company Granville Avenue Café is located at 1039 West Granville Avenue just minutes away from the Granville Red Line CTA stop. 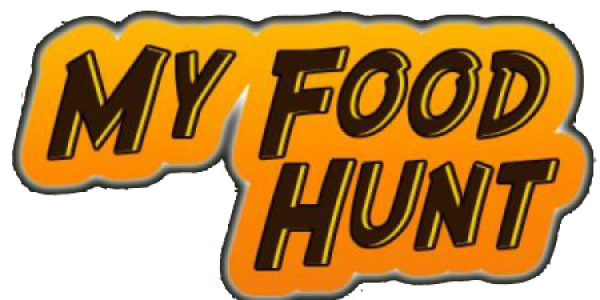 You can follow them at Facebook and on Twitter or even read their blog page to keep up to date with all of their activities. It is a really nice café with free wifi, lots of freshly ground coffee, and even as I noted some tasty English Muffins with which to treat yourselves.